We are joining the ladies of Mason-Dixon Knitting in knitting up some gorgeous sweater patterns designed by Norah Gaughan. WHO: Norah is a revolutionary designer who is a master of cables, construction, and interchangeability! As the featured designer in The MDK Field Guide No. 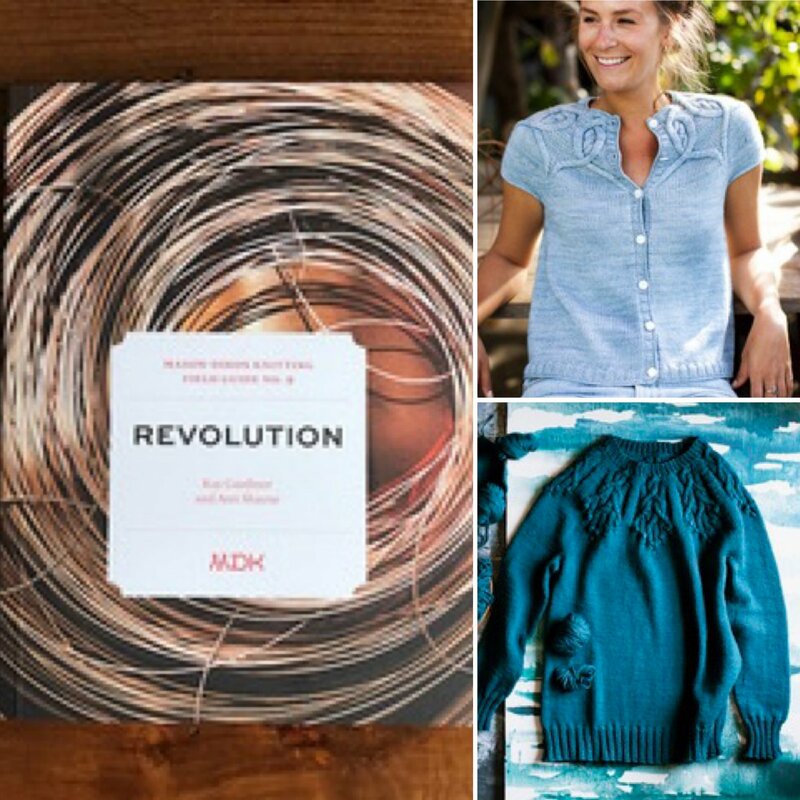 9: Revolution, she presents three yoke designs which are interchangeable - you can make a pullover, a cardigan, or a capelet. And we will be here to help and cheer you on! WHEN: Kick off is Friday, February 1!! We are hosting a cast-on event on 2/1 from 3-7pm. Then, join us on 2/13 and 2/27 to get help with your sweater and share your progress with others (we'll have two sessions on these days to try to accommodate everyone's schedules - from 10am-12pm and 5pm-7pm). Sign up for each session individually or register in advance for all 3, your choice! Many of us at the shop are really looking forward to challenging ourselves to complete a sweater in such a short amount of time. And if for some reason we miss the mark and don't make it? Well, we'll have beautiful new sweaters to show off sometime in March!